Food: Resolving rate of diary products and fast-resolving food in the food industry can be quickened, our products can be used for ice-cream production and raise emulsification, prevent crystallizing. It is used for making chocolate, our products helps reducing viscosity, anti-oxidation, anti-oil leakage. It enhances water proof when it is used for baking food. The food can also used for making the surface of the cake more flexible and sugary. It helps to improve the quality of the food and prevent to be old and prolong freshen period. 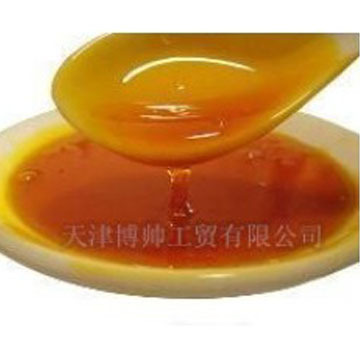 In addition, our product can also be used for the emulsification for drinks, cream soup, sauces and seasoning, it can also be used as the dispersing catalyst for fatty products, the emulsification for low fat salad. Industry: lecithin helps oil to leak into the leather, shorten the processing period, and for smoothing and soften the leathers, reducing flexibility of leather, making the leather slide, shaped and ventilating. In dynamite industry, lecithin mixed with certain proportions of SP-80 and creates the compound emulsifier. Modified lecithin helps to increase the emulsification and dispersing capacity, which is compatible with ammonium nitrate. Absorption film developed with the help of compound emulsifier which is more stable. The shooting speed of emulsified dynamite made by compound emulsification is 330m/s, the brisance is 12.5mm, gap distance has reached over 3cm, and every performance conform to the level set by GB18095-2000. micro element for livestock, and make contribution to laying more eggs and gaining more weight. As for the field of aquatic products, our products help create unsaturated fatty acid which is necessary for the energy resources. Thus our products help to increase the amount of protein utilization, the surviving rate, growth rate and weight gaining. Medicine: Lecithin is used for heath promotion, which enhances the cell activity. It also plays an important role in creating blood, soften skin, wound healing, hair growing. It improves the nervous system and helps to develop digestion. Cosmetics: Lecithin is used for making cosmetics, it mainly used for soften skin, provide nutrient, and create the effect of adhering to the skin. By reducing the feeling of greasy and increasing water proof level, our product is the indispensable part of cosmetic making. Other industries: Our products can be used in the field of textile and bleaching, coloring, painting, ink, paper-making, pesticides, rubber, tape, color film, petroleum extraction, fluorescent screen making. Our products is the dispersing dose, and it is also the auxiliary part of making repellents and refreshment preservation.